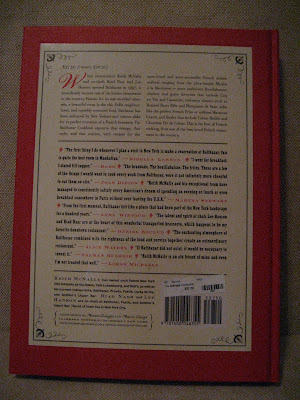 Last week, while doing our Christmas shopping, my husband, spied a beautiful red book. 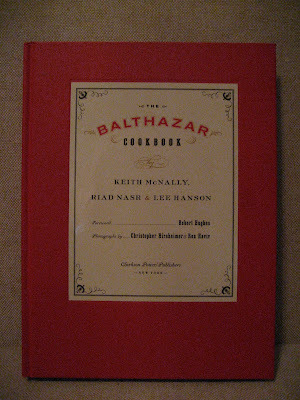 The title of the book was, The Balthazar Cookbook, by Keith McNally, Riad Nasr & Lee Hanson. "When restaurateur Keith McNally and co-chefs Riad Nasr and Lee Hanson opened Balthazar in 1997, it immediately became one of the hottest restaurants in the country. Famous for its star studded clientele, a beautiful room in the chic SoHo neighborhood, and superbly executed food, Balthazar has been embraced by New Yorkers and visitors alike for its perfect evocation of a French brasserie". We happened to be in Daisy's, my friend Barbara's shop, when he found the beautiful red book. The minute he picked it up, that was all it took for the two of them to wax poetic about the virtues of a good meal. I knew it was too late to surprise him with it for Christmas and that it was coming home with us! As soon as we arrived back home, I found him plopped on his favorite chair, perusing the pages of The Balthazar Cookbook for what was to become our Sunday supper. Once he's settled on the menu, he sets out to his favorite shops to collect the various ingredients. 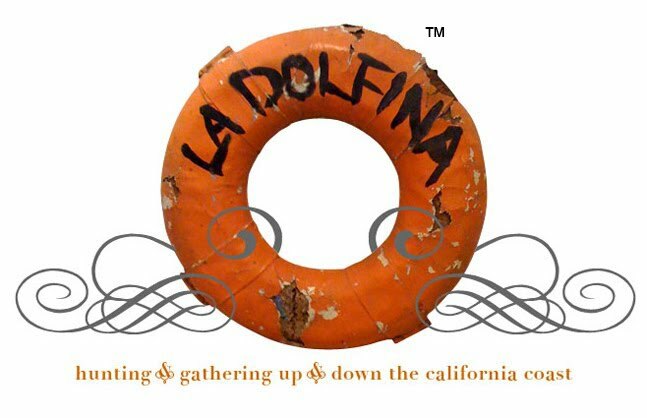 He usually hits the Alameda Marketplace which has a butcher shop, wine & cheese shop, bakery, and an organic grocery. He also makes stops at Pucci's Seafood, Trader Joe's and Safeway. He reminds me of my beloved Grandmother who also loved to shop in this fashion. 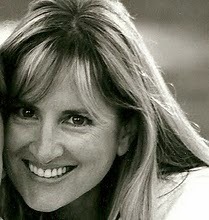 I fondly remember the days she and I would hit all the grocery stores in town for the best deals. She loved to teach me how to select the best fruits and vegetables. (This was Pre-Farmers Market) She also taught me how to find the best values by following the specials every week. I was always amazed when we were done, how little money I had spent and how many bags of groceries I carried into the house! When my husband returned with the makings of a fabulous meal, he began to describe the menu to me as he unloaded his lovingly sourced ingredients onto the counter. First, we were going to have the Balthazar Salad. A classic french bistro salad that was devised to reflect the restaurant by incorporating an ingredient for every letter in the word Balthazar. 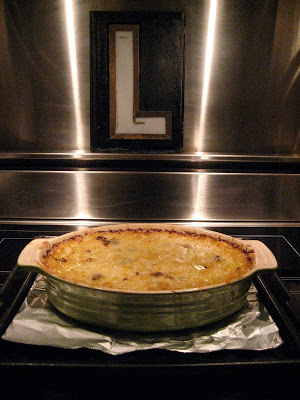 Then we were going to have the Macaroni Gratin, a delicious gratin flavored with sharp Gruyere and smokey lardons. 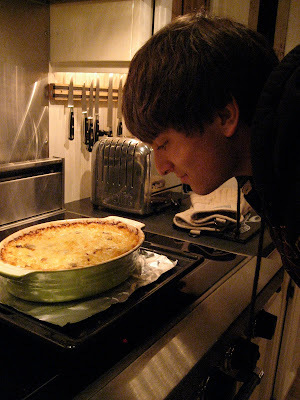 Here is our son Chris, taking a whiff of what he thinks is just classic macaroni and cheese! And finally, french cut rack of lamb chops flavored with rosemary and garlic, his specialty. Voila! Here it is...plated and ready to serve. So, you see, every day, or at least every Sunday, is like Christmas at our house! There is so much love in my husband's cooking that it is overwhelming. I would like to wish you all the blessings of the season. I was going to say "looks like you already got a Christmas present...a husband who cooks!" then read further and that's exactly what you say! I love that restaurant, all the noise and the food too. Merry, merry Christmas, may you have many splendid meals throughout the holidays. I knew he was in love with that book as he plopped down first in green chair in the store. I can't wait to drag you to NYC and take you there. So yummy, even the ladies room is fancy. A note to any readers of this lovely blog: Our dear hostess isn't exaggerating, Chris is an amazing cook. On top of that their son is charming and polite. Looks like you are having a yummy holiday Terese! Have a very Happy and Healthy Holiday. That looks so f---ing good! Chris is such a talented chef! What a great, great post! YUM!